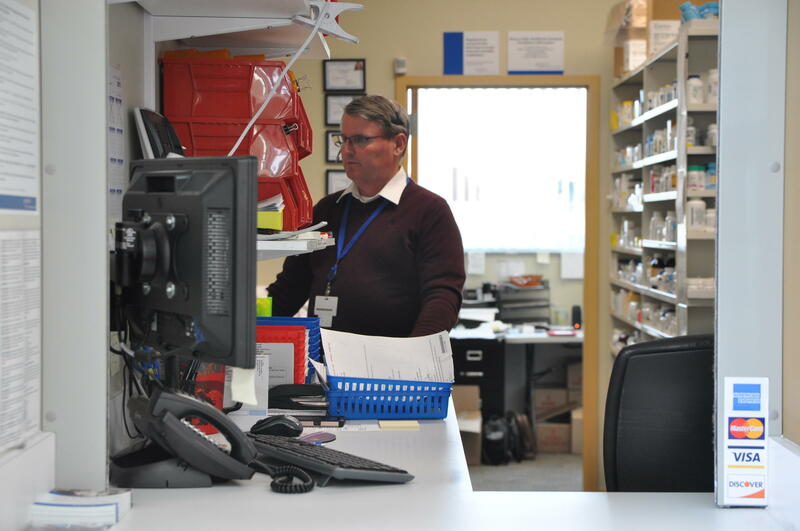 A pharmacist at Crider Health Center in Wentzville. “Managed care companies, their job is to ration the care, to keep people from getting the care that they need — and they make money doing that,” said Sen. Rob Schaaf, R-St. Joseph, a family practice physician. 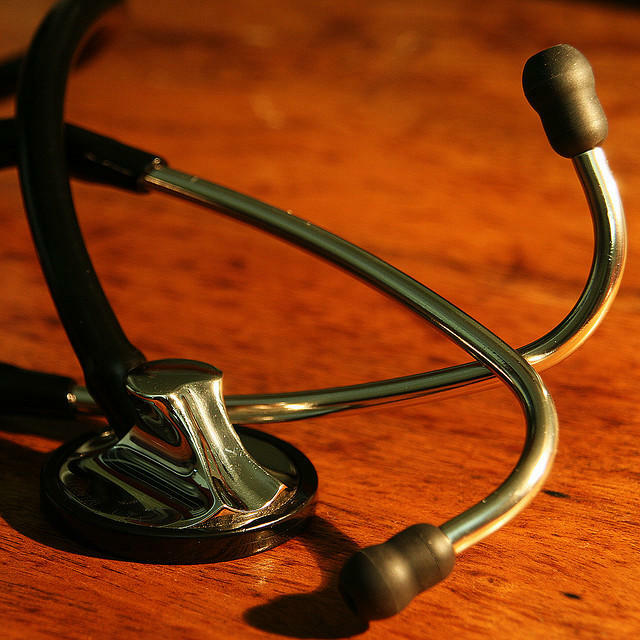 Listen: What IS managed care? The crux of the managed care debate is this: Does shifting Medicaid to for-profit entities set up a system where insurance companies have a financial incentive to deny care? Insurance companies say they save the money by keeping patients healthy, and can pass those savings on to the state. They also pull in margins of 3 to 5 percent, according to one recent earnings call held by United Health Group. In recent years, Missouri’s managed care companies could only operate in 54 counties along the Interstate 70 corridor. On May 1, the program was expanded to the whole state for enrollees who are not elderly, disabled or blind. The move does not expand coverage to people with higher incomes through the Affordable Care Act, which Missouri has rejected several years in a row. The Missouri legislature passed the rule to expand managed care in 2015 as part of an appropriations bill. It’s going into effect right as legislators face a deadline to pass this year’s budget, despite Schaaf’s repeated calls to Gov. Eric Greitens to delay the implementation. Schaaf mounted a last-ditch effort to postpone the change, but couldn’t convince his colleagues. He said his frustration stems from his experiences as a physician. The change also comes before the governor has appointed a permanent director for the MO HealthNet program. Greitens’ office did not respond to a request for comment. Managed care: how does it work? Generally, managed care plans try to lower costs by limiting the network of providers that patients can see, encouraging preventive care, and assigning primary care doctors to enrollees. The system works for Jorge Rodas, who recently shepherded his four school-age sons into the car after their checkups at Crider Health Center in Wentzville on a warm afternoon. “It’s easy coming here, because it’s 10, 15 minutes from my home,” he said. Rodas recently signed the kids up for a managed care plan run by WellCare, which has a limited network of doctors that didn’t include their pediatrician. So they started seeing a doctor at Crider, which is in WellCare’s network. So far, he has no complaints. Checkups and medicine are covered, and when one of his sons had to see a specialist, that was covered too. WellCare gets a flat fee from the state of Missouri to cover each of Rodas’ children. When they visit Crider, WellCare pays the clinic for their care. The alternative would be for the state to pay the clinic directly, a process called “fee for service.” Missouri still does this for seniors and people with disabilities. If Rodas has questions about the coverage, he calls a case manager at WellCare. But medical providers say managed care can be a bureaucratic nightmare. Contracts must be negotiated with each managed care plan, instead of payments being determined by the state. In addition, managed care plans might require a patient to contact their insurer to pre-authorize higher-level care. Several staff members process all of the billing for managed care plans at the Compass Health Network, which oversees Crider and several other health centers. 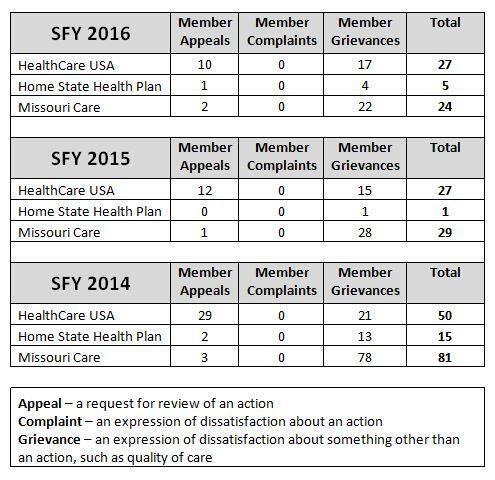 Complaints filed with the Missouri Department of Social Services, regarding Medicaid managed care plans. According to the Missouri Department of Social Services, the state’s managed care plans for MO HealthNet received 43 grievances from patients or their providers last year. The state also heard 13 appeals from patients or providers who disagreed with an insurance company's decision not to cover treatment. The Department of Social Services solicited bids over the summer from companies that wanted to offer plans, and selected WellCare, United Health Group, and Centene Corporation — which hired former Missouri Attorney General Chris Koster after his ill-fated run for governor. Aetna, which covered about half of the MO HealthNet’s managed care enrollees in 2016, lost its bid. The department sent letters and information packets to MO HealthNet enrollees, who were asked to choose one of the plans. If they did not make a selection by April 3, the department auto-enrolled them in one. But Ryan Barker, director of health policy for the Missouri Foundation for Health, said patients reported difficulty figuring out how to fill out the paperwork to pick a plan, and some never received packets at all. Patients will have 90 days from May 1 to change plans, but Barker said those who don’t have an appointment scheduled within that time frame may not know their coverage has changed, and won’t have a chance to switch. State legislatures tend to like managed care, because they can pay contractors a lump sum for the year, and let the insurance companies take on the risk of unexpected health care costs. But the actual cost savings have been modest in Missouri. One review by the consulting firm Mercer suggested savings averaged 1.7 percent between fiscal years 2010 and 2013, or about $27 million a year. The review, presented to the MO HealthNet Oversight Committee in 2015, showed that Medicaid enrollees on managed care plans also were less likely to stay up to date on medications, and slightly more likely to use the emergency room compared to similar patients using traditional fee-for-service coverage. Managed care patients did do better on one quality metric, however: they were more likely to get screened for breast cancer. “There’s a minimal amount of savings, and there’s sort of a mixed bag in terms of health outcomes for patients,” Barker said, as long as managed care plans are used for healthier Medicaid patients, like parents and children. The challenge for Missouri’s managed care providers will be to make sure its network of doctors is large enough, especially for patients who live in rural parts of the state. At an expo held by United for providers in St. Louis, representatives for the company said they were ready to hit the ground running. WellCare, however, did not sign a contract with one major health system — SSM Health — before the May 1 switch. Patients on WellCare’s managed care plan will be seen in emergencies, an SSM Health spokesperson said, but might not be covered for other types of care until a contract is in place. A spokesperson for WellCare said the company “remains optimistic” that an agreement will be reached. The expansion brings Missouri's total managed care enrollment to about 740,000 people. Jason Rosenbaum and Marshall Griffin contributed reporting. An earlier version of this article misstated where WellCare's case management services for Missouri's managed care plans are based. They are in Missouri..